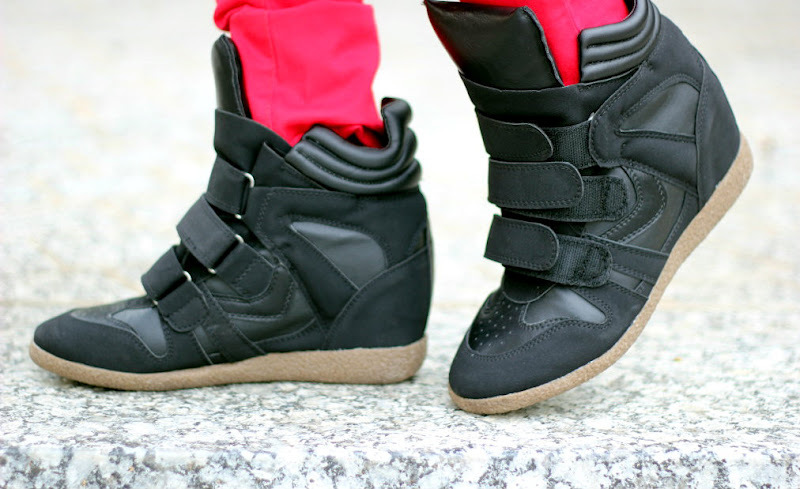 would you wear wedge sneakers? i think they're super cute and comfortable specially for those days you dont feel like wearing high heels. Hi, Im Mayte, a Dallas based blogger, wife and mom . Sharing my love for fashion one post at the time . 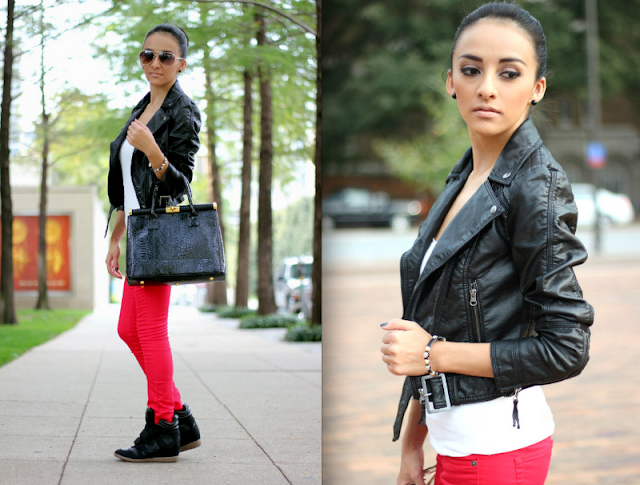 Snake Print with a pop of red. High waisted jeans and creme studded vest.